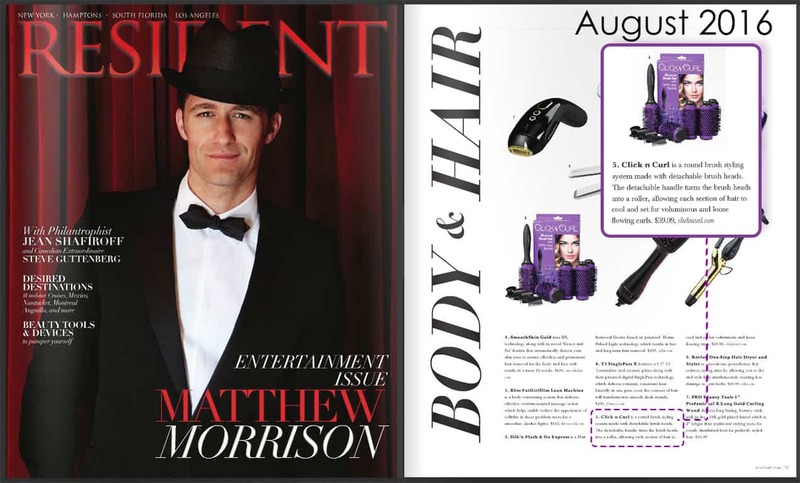 Click n Curl was featured in Resident Magazine’s August 2016 Issue. Resident Magazine is a monthly magazine for the affluent and culturally savvy tastemakers, serving New York, Los Angeles and other metropolitan areas. Topics include: travel, arts, dining and fashion – with only the latest cover exclusives.